(WBKO) - A baby died Thursday night after being mauled by the family dog. Guthrie Police say they responded to a home on North Ewing Street where they found a 1-year-old boy on the couch, unresponsive, but breathing.Police say the child had deep abrasions to the head, chest and neck from being mauled by the family dog, a PIT BULL MIX. According to police, the child's great-grandmother also had contusions on her left cheek and arm from trying to pull the dog off the infant, who was on the floor playing with a ball. "She suffered herself from some very deep cuts and bites and stuff on her cheek and on her left arm," said Chief Dean Blumel, of Guthrie Police. "She was in pretty rough shape. I commend her for reacting the way she did." Police believe the dog may have been spooked by a thunderstorm and reacted to the ball when returning inside. "It's a family dog. The grandfather told me that it normally is playing with the kid and interacting with the kid very calmly, so we just feel that it was just an unfortunate freak accident," said Blumel. The child and grandmother were taken to Tennova Medical Center, but the child died from his injuries. The grandmother was treated and released. The dog was signed off to Animal Control and was euthanized. No charges are being filed against the family. Police say they're trying to let the family have room to mourn. 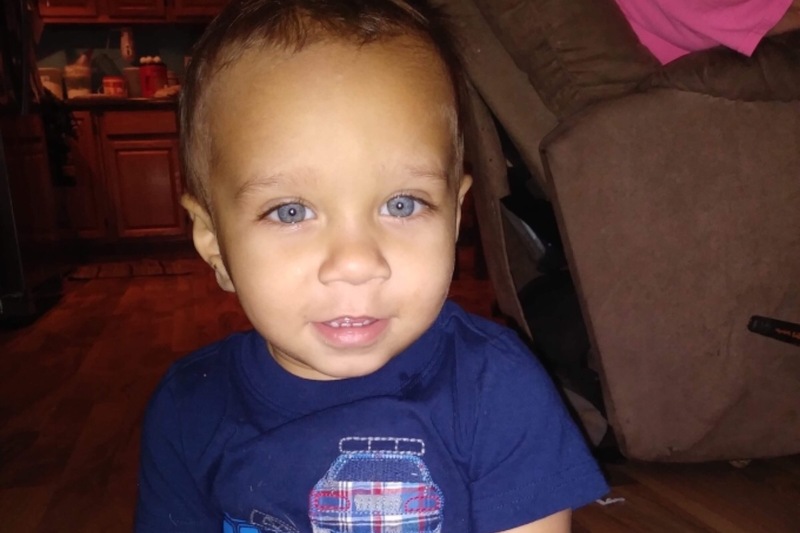 Ashton McGhee, born August 29, 2017, tragically passed away on Thursday February 7, 2019, at Tennova Hospital in Clarksville, Tennessee. He was only one year old. Ashton was playing at his papaw and mamaw’s house in Guthrie the night of February 7th when one of the family dogs came in from outside and attacked Ashton who was playing on the floor with a ball. Ashton’s Grandma and Great-Grandma tried everything they could to save his life, but were unsuccessful. Ashton lived in Hopkinsville, Kentucky with his mother, Miranda McGhee and his two sisters, Aliyah (6) and Alivia (2). He loved Batman and was a very active little boy who was always on the go. This go fund me is set up to help fund funeral arrangements. Miranda is a young, and wonderful mother who is in great turmoil and absolute shock and grief. Let’s gather as a community to help ease some financial worries as she has to lay her sweet baby boy to rest. If you can’t help monetarily, please continue to send endless prayers to the family. Thank you everyone for your support and prayers. 1) 1-9- Diane Reeves - 70 - Grenada County MS - A total of 7 dogs were taken into custody - The Sheriff's Department reported she suffered about several hundred dog bites. 3) 2-7- Ashton McGhee - 1 - Guthrie KY - The 1-year-old baby boy lived in Hopkinsville KY and was visiting his grandparents' home when one of the family dogs came in from outside and attacked him - The Chief of Police said the PIT BULL MIX may have been spooked by a thunderstorm and then spooked again by the ball the child was playing with - "IT'S AN UNFORTUNATE FREAK ACCIDENT". "Ashton’s Grandma and Great-Grandma tried everything they could to save his life, but were unsuccessful." They tried everything they could to save Ashton's life, except not bringing a pit bull into the home. I don't buy the "pit bull mix" anymore. If it acts like a pit bull, i.e., killing a toddler, it's a pit bull. Blame a thunderstorm, a ball, or a freak accident, anything and everything except for the actual cause, pit bull DNA. Sorry your grandparents failed you Ashton. It's well known that pit bulls are deadly animals. Your grandparents are nutters and had to learn their lesson the hard way. They played Russian Roulette, and you paid the ultimate price.